Many Lives Thrive, Cradled Within the Fertile Northern Expanses. 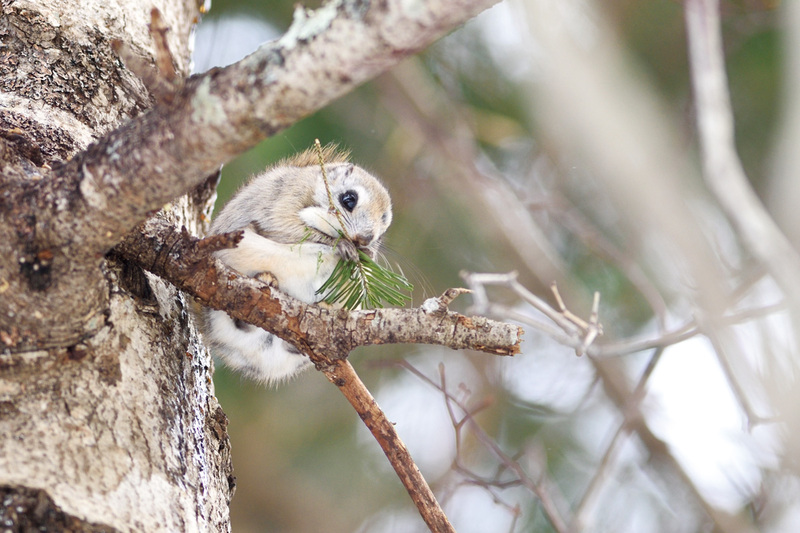 Within the Rumoi area, one can often meet up with the common Ezo deer or northern fox, but the Ezo flying squirrel, mascot of Enbetsu, is a rare sight. You can also visit domesticated animals such as the Suffolk sheep which are raised on Yagishiri island. These squirrels inhabit forested areas near private homes, but they are rarely seen. This makes perfect sense because they are nocturnal animals. However, if you watch their burrows carefully, you might be able to spot one during the day. 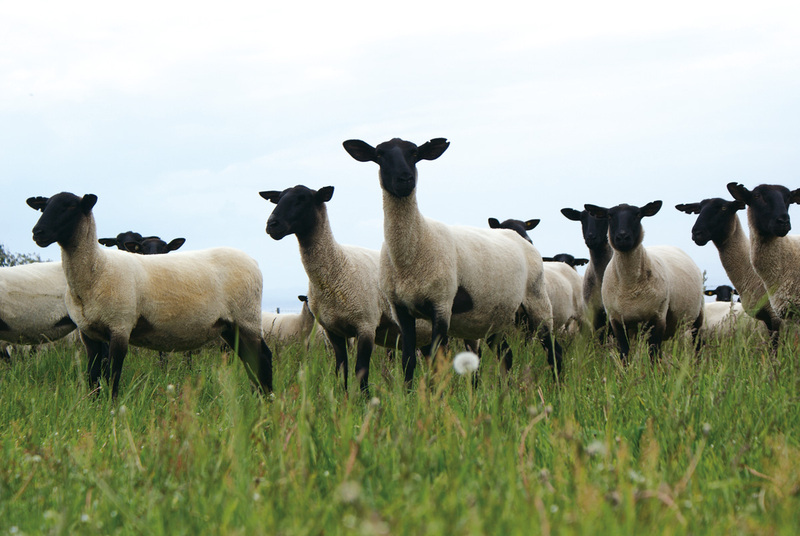 There is a sheep ranch on Yagishiri where you can see the fluffy white bodies and black faces of Suffolk sheep. They are irresistibly cute as they trot on the grassy fields. 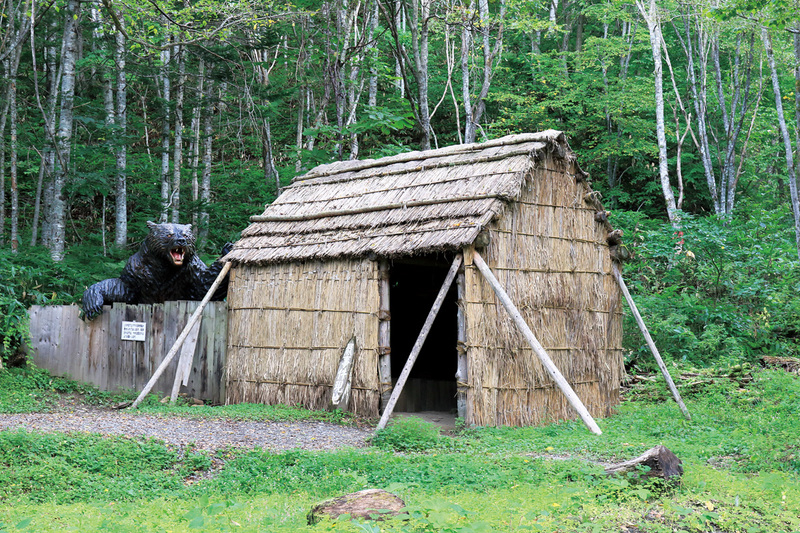 As you walk down “Bear Road” along a quiet stream bed, you will be shocked when you run into a statue of a huge brown bear. At the beginning of the Taisho era (1912-1926) there was an incident in which 7 people were killed in 2 days. This exhibit was left as a memorial of this sad story and the settlers who refused to give in. 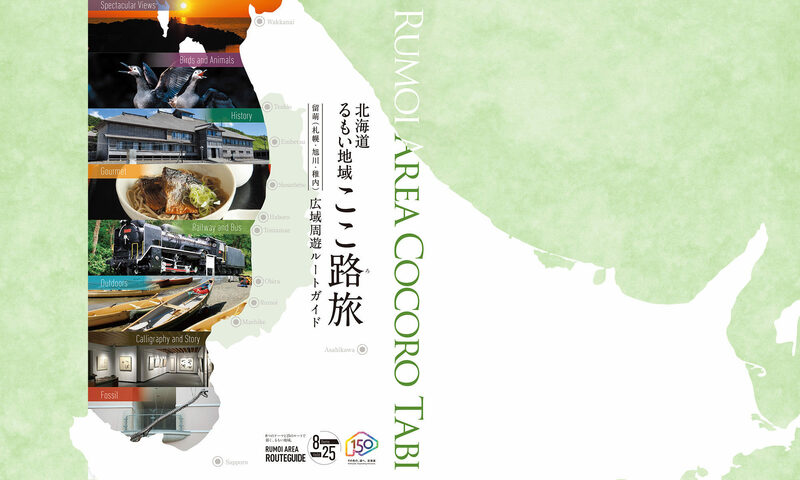 (more information on page 25) The exhibit is open from mid-May to the end of October. 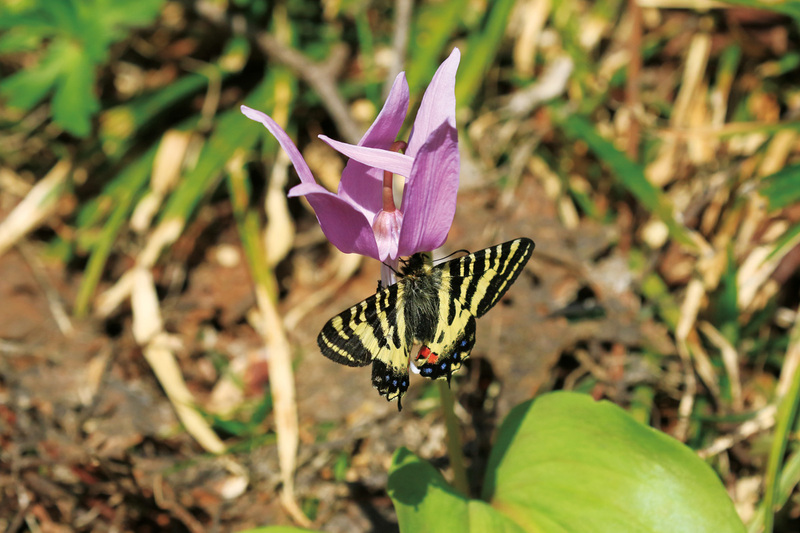 In early spring you can see this butterfly in the area surrounding the Observation Deck. The contrast of purple and yellow colors is dazzling. 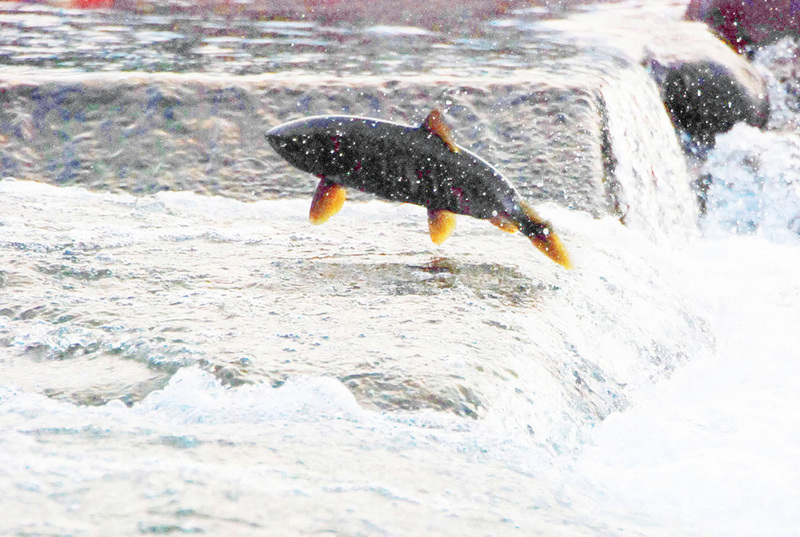 It isn’t an overstatement to say that the history of Hokkaido began with the salmon. Nothing was ever wasted and even the skins were made use of, salmon were a mainstay of life. The life cycle of a salmon is poignant as they come back to their birthplace to spawn, and then die. October is the peak spawning season.